KB Stars have been crowned the WKBL champions. They defeated Blue Minx on the road to sweep the championship series. 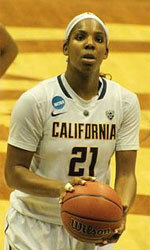 Kayla Thornton (185-F-92, college: UTEP) produced 29 points and 14 rebounds to lead the champions. Blue Minx jumped to a 21:18 lead ten minutes into the game. The hosts boosted the margin at 5-point mark at the big break 37:32. But KB Stars responded with a strong 24:15 rally in the third term to spur ahead. They held Blue Minx to just 12 points in the final stanza to capture the trophy. Ji-Su Park (195-C-98) delivered 26 points and 13 rebounds for the winners. Han-Byul Kim (178-G/F-86, college: Indiana) answered with 28 points and 10 rebounds for Blue Minx. KB Stars recorded the second straight victory in the championship series. They toppled Blue Minx to step closer to the trophy. Kayla Thornton (185-F-92, college: UTEP) posted 27 points and 9 rebounds to lead the winners. KB Stars posted a 16:9 lead after the opening frame. Blue Minx denied the deficit and eked out a 33:32 halftime advantage. KB Stars went on a 24:16 run in the third term to regain the lead. They held Blue Minx to only 2 points in the fourth quarter to race to the win. Bo-Mi Kim (178-F/G-86) replied with 14 points for Blue Minx.